PDF is a common file format that enables you to manage your data easily and efficiently. Creating and managing your PDF documents should not be hard because there is an online tool that is available for free. PDF Convert Free is a highly reliable online tool that enables you to create, manage and convert your PDF documents easily. The online PDF conversion tool enables you to convert and manage your documents through several steps that are easy to follow. It allows you to create and manipulate PDF files without necessarily having to acquire a whole program. Being available online enables you to use the free tool from anywhere around the world. PDF Convert Free is a very useful online tool that can be relied on because it is fast and completely secure. It does not require email or sign up. The tool has no ads and can be used by anyone. You can use it in various ways because it features many functions that are meant to help you create and manage your PDFs easily. The free online PDF conversion tool comes with many benefits that make it unique and outstanding. PDF Convert Free comes with many features that can be used in various ways. They are freely available and can be utilized by anyone. The features are as follows. 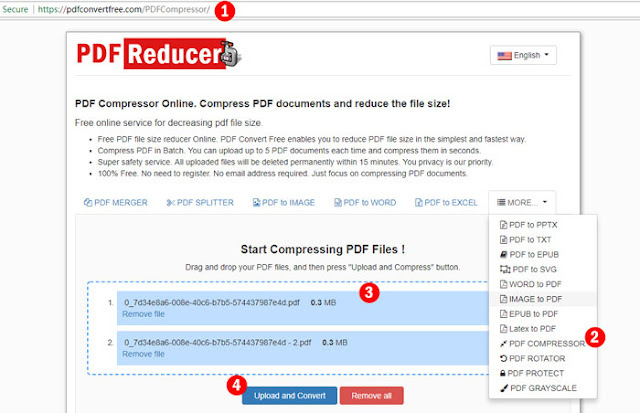 You can use the tool to compress PDF online. It has a simple to use feature that enables you to reduce PDF size. The compress PDF file size functionality is completely reliable and cannot damage your files. You can use it to high compress PDF online and start saving your storage space. PDF convert free features a PDF merger functionality that enables you to bring multiple PDF documents together. You can use it to quickly and easily merge your PDF files into a single file. This is another feature that comes with the online tool. PDF splitter feature allows you to cut a big PDF file into smaller files. The feature enables you to separate your work and make it easily readable. This is an important feature that can help you a lot. The PDF to word feature is used to convert PDF files into MS Word files in a very easy way. The conversion is always fast and can take only a few seconds depending on the size of the file. You can use the PDF Convert Free online tool to convert your documents from word to PDF format. To make the conversion, you will only need to drop your files in the designated area and select the action that needs to be done. Converting your PDF documents to images should no longer be hard. The online tool features the PDF to image functionality that produces high quality images in bulk. The tool can also be used to convert images to PDF. Their quantity does not matter because the tool can easily handle bulk images. You can easily convert your PDF files to excel using the PDF Convert Free tool. This functionality is good in converting your files to a tabular form for easier calculations. The online tool comes with various functionalities that can be used to convert PDF files to PPTX, TXT, EPUB or SVG format. Utilizing these functionalities can help you save time. Your files that are in EPUB or Latex format can also be converted to PDF. With the online tool, you can easily convert them for other uses. Rotating your PDFs is made easier by this online tool. With the tool, you can rotate specific pages of your files by 90, 180 or 270 degrees. This is another feature that comes with the free online tool. It enables you to secure your PDF files using a password. The best encryption technology is used to protect your files. PDF grayscale is a feature that enables you to convert and save your PDFs in black and white. You can use the feature to convert up to 5 documents in a single round. Go to https://pdfconvertfree.com/ and open the PDF Compressor functionality that is under the drop down list named MORE. Drag your PDF files from their location and drop them on the website’s drop zone provided. You can upload up to 5 files per round. The button labeled “Remove file” can help you get rid of the unwanted files. Click the button labeled “upload and compress” to start the process. The process will take a few seconds before completing. After the compression is complete, a download link will be provided. Click it to download your PDF files that will now be in zip format. PDF Convert Free is an online tool that can help you do so much. You can use it to create, manipulate and convert PDF files with ease. The online tool comes with many benefits and can help you save so much time. You should use it to manage all your PDF files.